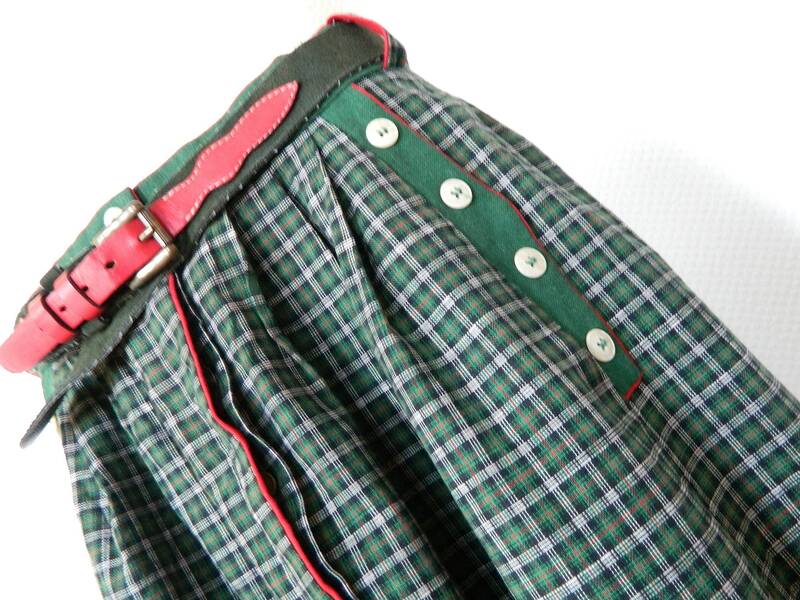 Beautiful costume skirt, checkered with side buttons for decoration. 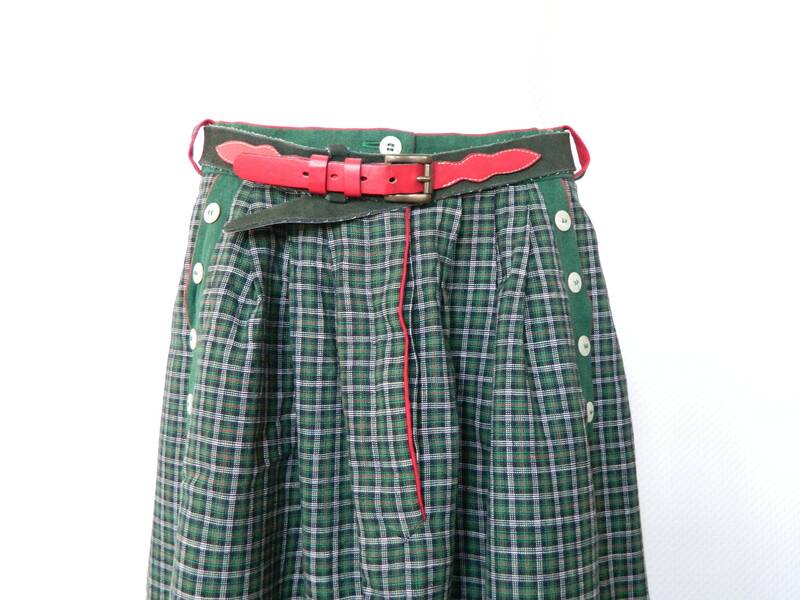 The skirt has an associated belt (leather). 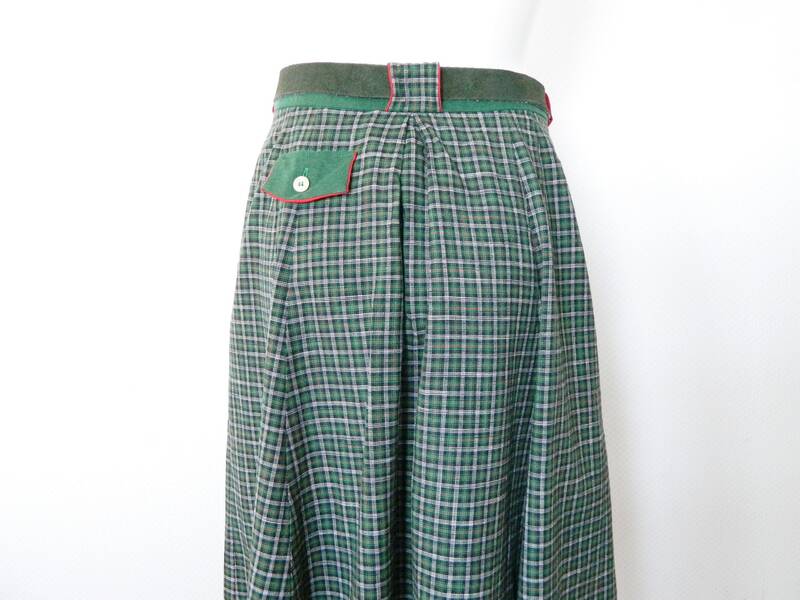 Side pockets and a pocket in the back. Very good vintage condition. 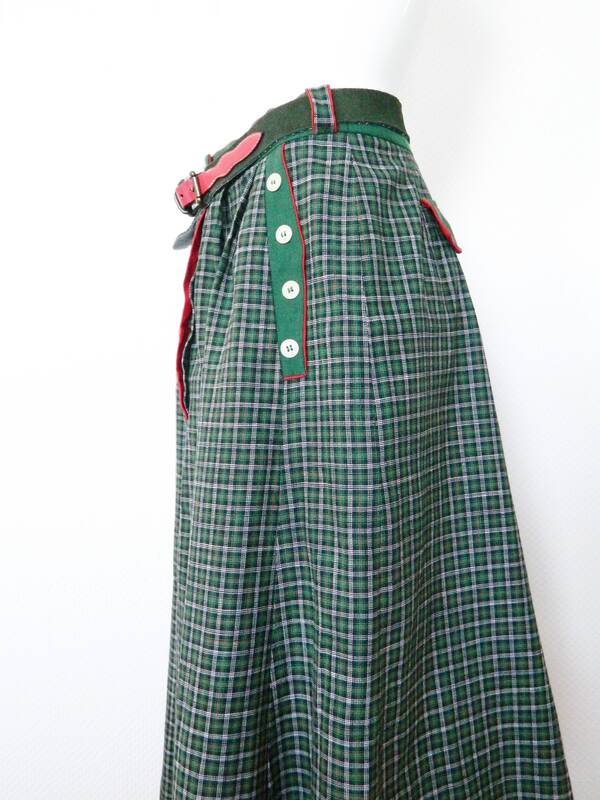 Wonderful national costume skirt, checked with lateral buttons to the adornment. The rock has a matching belt (leather). 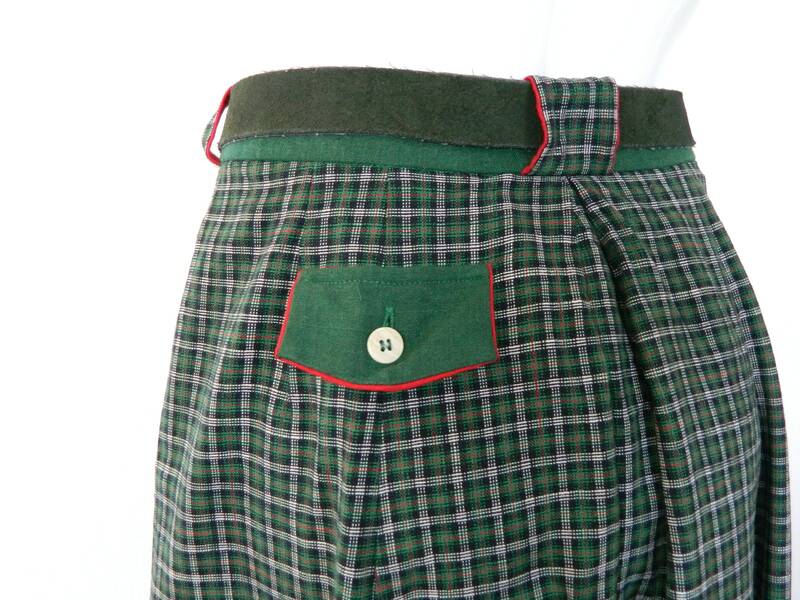 Lateral pockets and a pocket behind. Very good vintage condition. 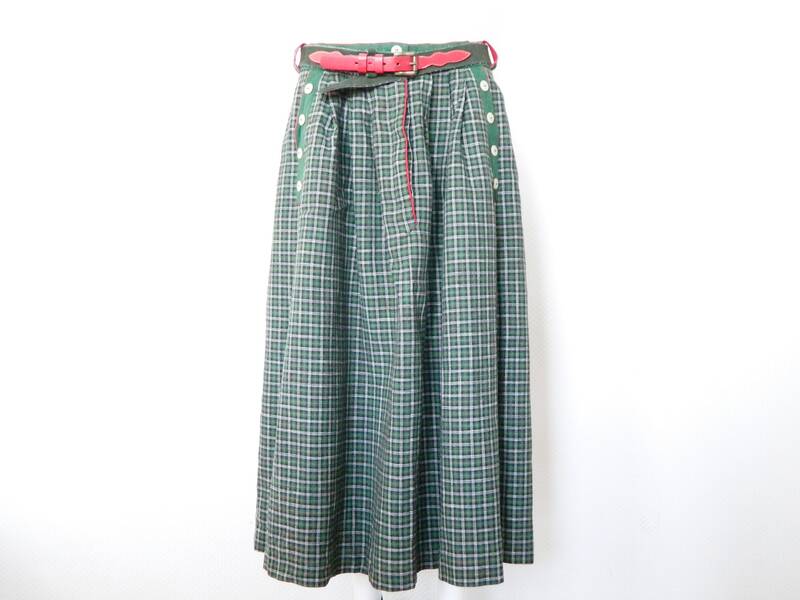 Length 78 cm, 31 "
Waist size 36.5 cm, 14 "